Orchestra members regularly organise chamber orchestra projects as well. With KrashKO (Krashna Chamber Orchestra), members play in a smaller orchestra conducted by varying (young) conductors. 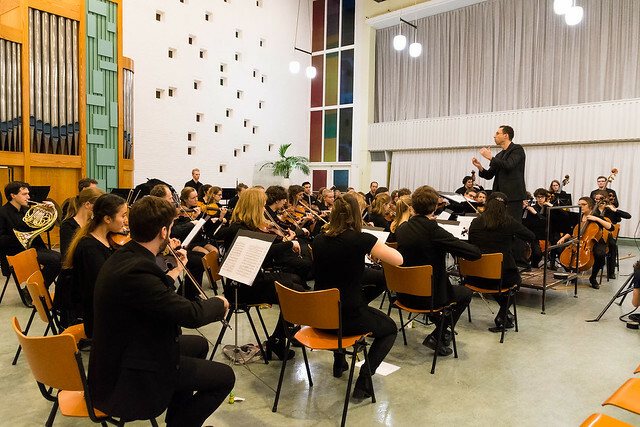 With challenging programs (from Beethoven to Poulenc), special children concerts (Peter and the Wolf) and a compact rehearsal schedule, these projects are always especially awesome. The last project was in February 2017, conducted by Arndt Auhagen, a member of the Royal Concertgebouw Orchestra. The programme contained Beethoven 5 among others. Keep an eye on the news page for more information about a new edition of KrashKO!